The 40-pound weight cut faced by Andrew “The Sniper” Todhunter to make 170 pounds for first UFC fight took such focus that preparing for his opponent, Russian Albert Tumenov, was a secondary — if that — concern. The former soldier told Army Times he was “in the 180s” on Wednesday afternoon, but by the time weigh-ins took place Friday, he’d been sidelined for medical issues, according to the UFC and several MMA media reports. The reports and a release from Todhunter’s management team, Guardian Sports Group, did not detail those issues, but the extreme weight loss appears the likely culprit. The former soldier whose image has been used in Army recruiting campaigns and boasts a 7-0 pro MMA record, with all wins by submission, remains an attractive UFC prospect. Tim Johnson, a member of the Minnesota National Guard, opened his UFC career with a win in April over another Russian, Shamil Abdurakhimov. Now 9-1 overall as a pro MMA fighter, Johnson will battle Jared Rosholt (12-2, 4-1 UFC) at a UFC Fight Night card in Nashville, Tennessee, on Aug. 8. The fight is listed as part of the main card on the UFC’s website. Fox Sports 1 will air that card beginning at 7 p.m.
Johnson earned a $50,000 bonus for his first-round stoppage of Abdurakhimov, who also made his UFC debut in April. 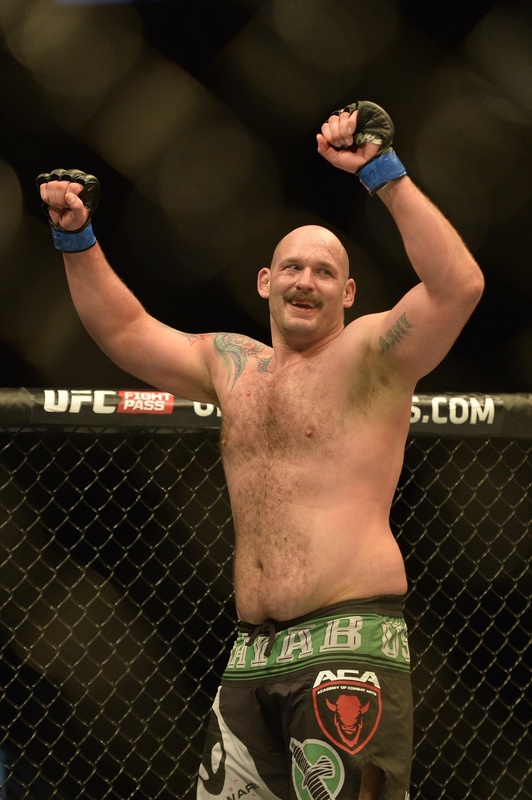 Rosholt stopped Josh Copeland in March at UFC 185 and has been active in the UFC since late 2013. He’s not retired, but Tim Kennedy, a former active-duty Special Forces soldier who now serves in the Texas National Guard, has made it clear that his return to the UFC cage would have to come under special circumstances. Hey @danhendo CONGRATS on your win. Enjoy the rest. Lets talk to @danawhite about doing a Fight For The Troops card and putting on a show. Dan Henderson, a 44-year-old legend in MMA circles, made short work of Tim Boetch in their June 6 fight, when the underdog veteran knocked out the highly regarded youngster in less than half a minute. The retirement talk that had surrounded Henderson before the fight — he’d lost five of his last six contests before the KO win — subsided fairly quickly, and Kennedy’s offer drew praise from MMAJunkie.com and other combat-sports websites. Some potential wrinkles: Henderson could seek a higher-profile fight than one with Kennedy, who hasn’t fought since a controversial loss to Yoel Romero in September. Also, while the UFC has scheduled multiple “Fight for the Troops” cards, including one at Fort Campbell in 2013 where Kennedy beat Rafael Natal in the main event, there are no troop tributes on the promotion’s upcoming schedule. 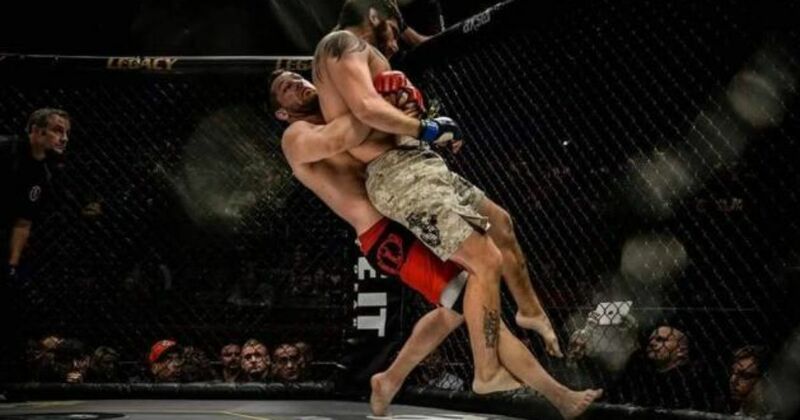 California State Athletic Commission officials suspended Mike “The Marine” Richman, a former Marine sergeant who has been active in the Bellator promotion since 2012, for two years after Richman tested positive for a banned performance-enhancing substance after his May 15 loss to Eduardo Dantas. Richman (18-6) entered the clash on a two-fight win streak. In a Facebook post last week, he admitted to taking an anabolic steroid without his training team’s knowledge.